The goal of this project was to create a do-it-yourself toy to foster creativity through an open-ended experience. 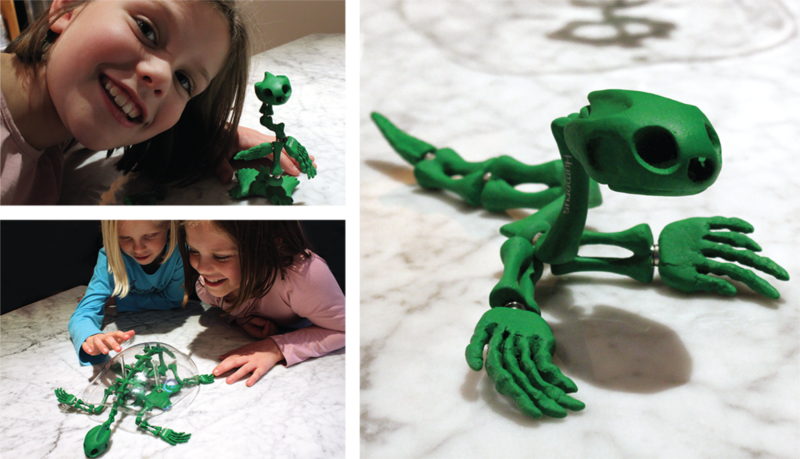 Bucket O' Bones is an anatomy teaching tool for kids. 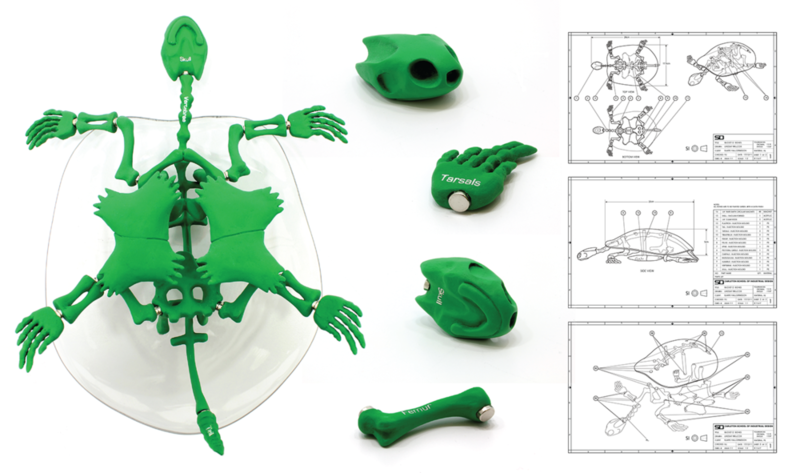 Kids assemble label bones with magnets to form a turtle skeleton. The bones can also be reassembled to form completely new creations. 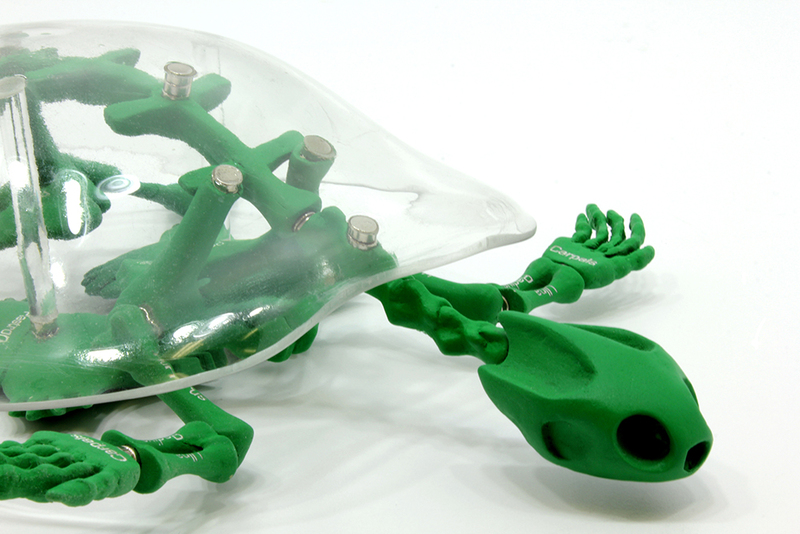 Additional sets of bones from other animals (for example a pelican or frog) could also be combined with the turtle bones to create even more complex creatures. Kids learn about anatomy and construction, while exercising their creativity. I used clear acrylic for the shell so it would be easy to see the bones underneath. The majority of bones are also labeled such that they are visible by looking through the shell, adding an aesthetic effect but also a functional one, as kids are more likely to read the labels while they are looking down at the toy. By seeing these labels repeatedly, kids are more likely to retain the names of the bones. Using Adobe Illustrator, I created technical drawings to show the assembly and overall dimensions of the toy. Two children that were within the 7-9 targeted age range were asked to test the toy. This age range was targeted because they have passed the age where choking hazards would be an issue, and are old enough to read the labels on the bones, yet young enough to enjoy the toy. Through testing, it was confirmed that the toy has a great deal of play value. The children were completely engaged with the toy, and were excited to build as many different characters and creations as possible.